STEP #1: Once you have completed the payment information, and your payment has been accepted, you will see your receipt page as shown below. You have two options to download your CAD blocks from here. 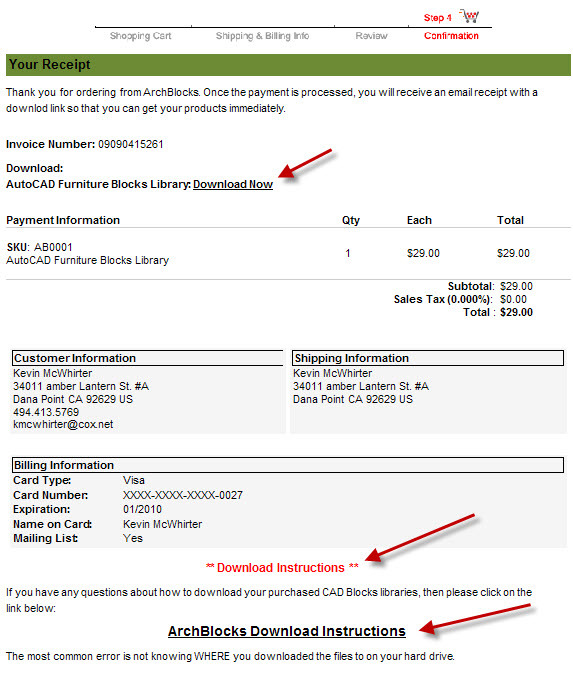 You can use the download link provided in your receipt as shown by the top red arrow, or you will receive an email with a download link included. Just pick on the Download Now link, and the download process will begin. STEP #3: The File Download dialog box will appear asking if you want to Open or Save the zip file. My recommendation is to Save the zip file to your hard drive. 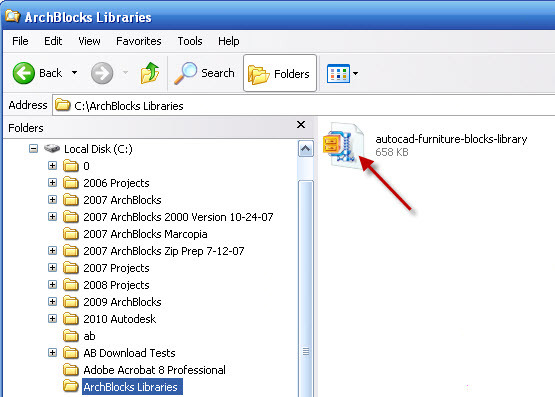 That way you can use it as a backup file for the ArchBlocks CAD Block Libraries, should you ever need it. STEP #4: This next step is IMPORTANT!! You need to select and know WHERE, you're saving the zip file to on your hard drive. So have a folder in mind, or create a new folder to save the zip file into. STEP #5: The download process is now done. 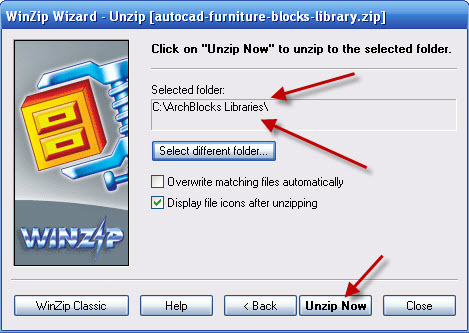 Once you have saved the zip file for your ArchBlocks AutoCAD symbols into the folder of your choice, you now need to unzip it. 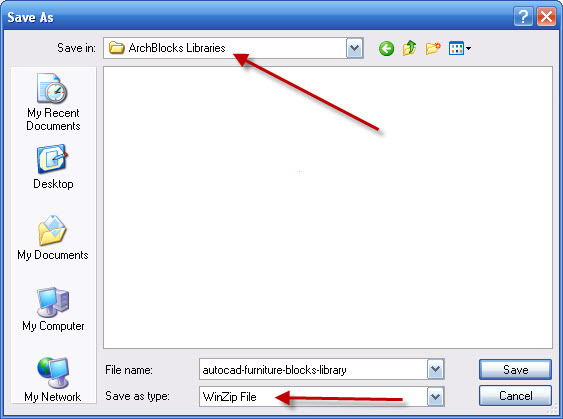 All the ArchBlocks CAD block libraries have been zipped (compressed) using Winzip compression software. This makes the files smaller for quicker downloads on the internet. Just double-click on the zip file and it will start to unzip. 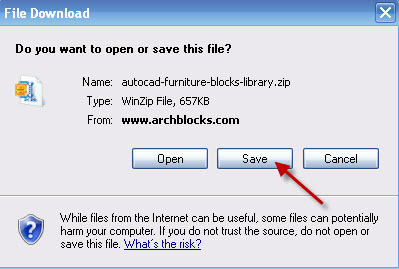 After you have unzipped the CAD Blocks to the folder, you can now access the blocks with Design Center in AutoCAD. You can also open the .DWG files with AutoCAD to look at the blocks if you want to.